Bitossi (Italy) ceramic horse in its largest size originally distributed in the USA by the Raymor company. We knew they came in different sizes but at exactly 15-lbs in weight this piece is both heavier and larger that we had expected it to be. 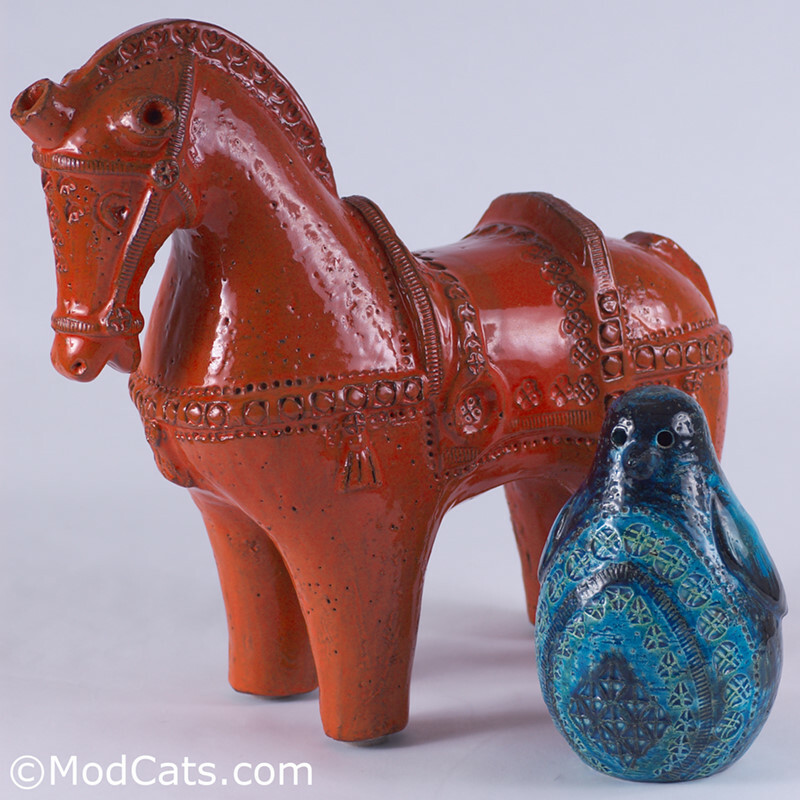 This one is in a bold orange color - one of the less usual glaze colors.